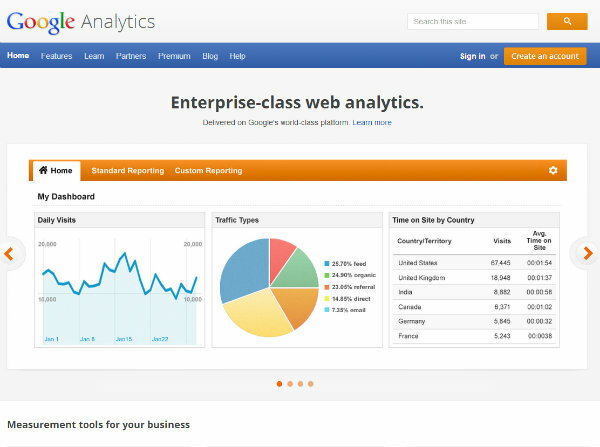 Google Analytics is one of the most powerful free analytics tools available. Its insights can be used to find new customers and increase conversions. As well as the business reporting within Selz dashboard, Selz also integrates with Google Analytics so that you can gain deeper insight into how your marketing efforts are performing. You can use Google Analytics to start measuring the number of visitors to your Selz store, product views, or to see the sources of traffic and customers to your store. 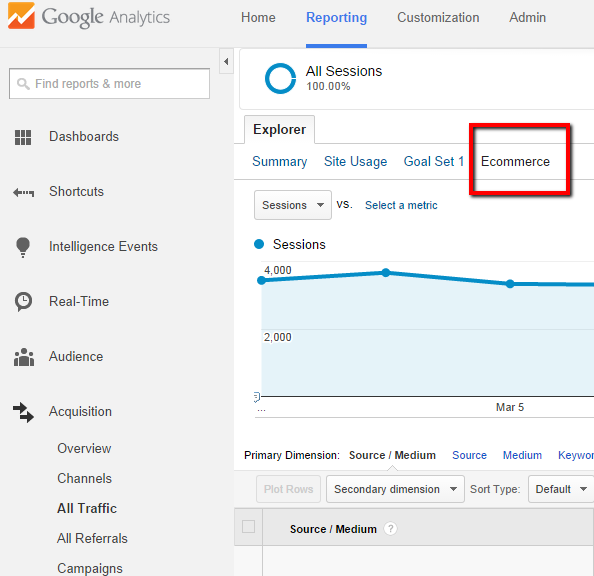 You can now use E-commerce reporting within Google Analytics in two ways. First, use the E-commerce data to look at conversions for reporting in Audience, Acquisition, and Behavior. You can use the e-commerce data in other Google Analytics reports to find out such key things like which sources of traffic bring the most valuable customers, or the ROI on any paid campaigns you run. Second, within the Conversion / Ecommerce Reporting section to understand more about your business in terms of measuring orders, revenue and sales conversion for different products. The Ecommerce reports in Google Analytics are useful for getting a deeper understanding of your total sales, individual product sales, conversion rate and average order value. For more information on how to use the e-commerce data in Google Analytics check out our blog post on e-commerce reporting in Google Analytics. Which of your products are selling well? How well do your products convert into sales? What is your average order value? How many items per order are customers buying? If low, you might benefit from offering quantity discounts, or by offering free shipping. To start using Google Analytics with Selz all you need to do is plug your Google Analytics ID into Selz. Follow the step by step instructions below to get started. Don’t worry this only takes a few seconds and is easy to do. To start using the ecommerce reports in Google Analytics you first need to enable it in Google Analytics. Create a new profile account in Google Analytics using your Selz store URL. Google Analytics will ask you for the URL when you set up a new profile. You can find your store URL by logging into Selz and navigating Settings > Store. You can also find your store URL by clicking the Store icon from your Selz dashboard. Copy your Tracking ID for your profile you just created in Google Analytics. The code can be found under the ‘Tracking Info’ tab within Google Analytics and should start “UA…”. Head to Settings > Store in your Selz dashboard, if you’re not already there and paste the code in the Google Analytics field and Save.